This craft is an improvement over my old, outdated Binary SSTO, which was based on an even older one command join prototype. The craft features an actual cargo capacity over the original, re-dockable spacers, and the ability to lock the engines not just vertically and horizontally, but anywhere in between. This craft works on the principle that the small spider engines are very very weak, and you can easily build a bend into it. This is the same as before. Like before there are to bearings that surround a decoupled spacer that restricts this flexibility to rotation of the engines only. The engines are controlled by W and S when RCS is on. To lock them in place, for long term or really any maneuvering lock the engines in place by auto strutting one of the main body parts (i use the cargo bay) to root part, and remove this to rotate the engines again. The engines will likely re dock to the spacer when set horizontal. This is the ONLY time when time warp is supported, and to help with the reliability of the craft, use the auto strut trick even now. 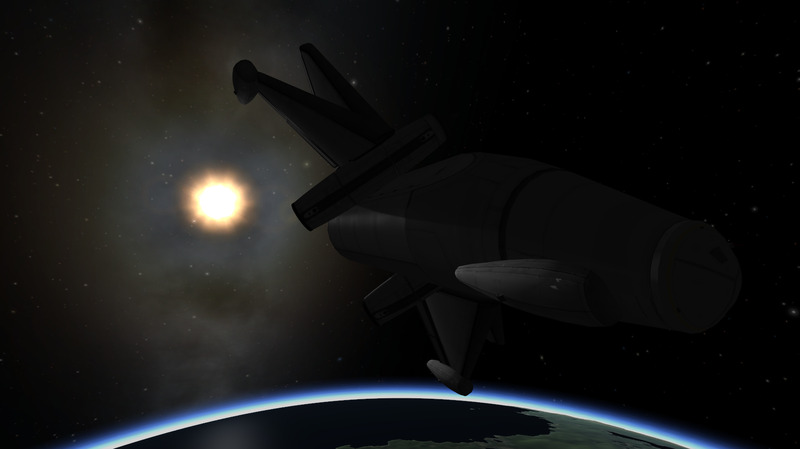 Other than the VTOL capabilities, this craft has a very simple ascent. 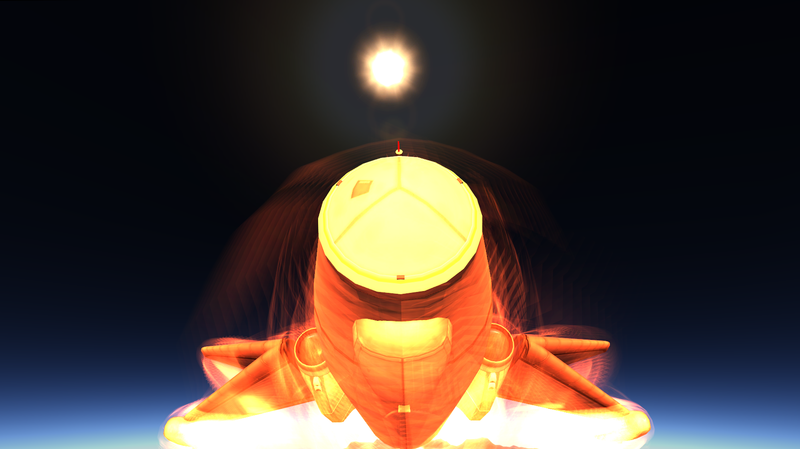 Due to its inherently high T/W ratio, simply point 10 degrees above the horizon until flameout, and then tilt up to around 25-30 degrees when making the rocket burn.